Christmas is coming and it’s time for receiving gifts. If you are looking for new web-design for your site you have a good chance to get it for free. 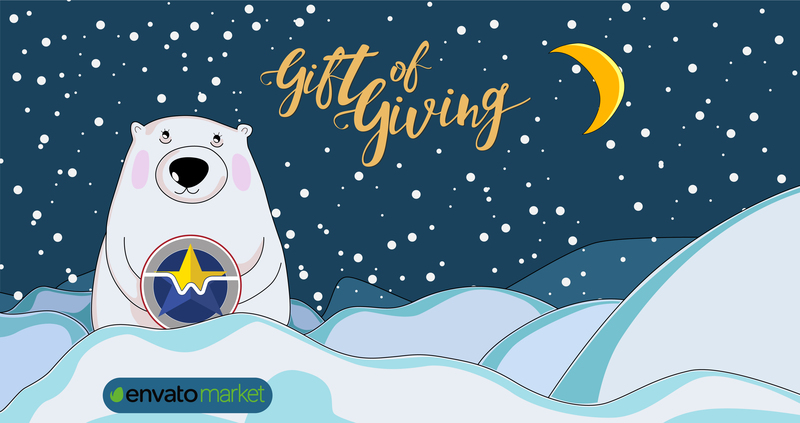 EnvatoMarket has started its Gift of Giving Campaign! Each day from today till 24th of December members will get link to download one of themes for free. We wrote in our blog about good themes for Magento and Drupal already. So let's hope that one these themes will be selected as gift in this campaign. We know that time is critical for business and many our clients are looking for combination of Price, Quality and Delivery Time. In time sensitive web-projects we often offer ready-made themes from ThemeForest marketplace - part of Envato Market. Using ready-made theme is good approach for new web-projects. When Client wants to get feedback about his product or service as soon as possible. Configuration of ready-made commercial theme requires up to 2 weeks of work. So by this way we save 4 weeks of project timeline and decrease budget on front-end works on 60-70%. It’s good deal. If you are looking for e-commerce template for your new Magento store then it will cost you around $50-90. Price for ready-made theme for Drupal site - $40 - $60. From today till 24th of December you have a chance to get theme for your site for free. EnvatoMarket prepared cool Christmas promo campaign and shares one item from its collection each day for free. Create account on EnvatoMarket and keep track of updates. If you need help with choosing quality theme for your site just contact us.